Dubai Bank: The bank is in liquidation and the Kenya Deposit Insurance Corporation is calling on all depositors and creditors of the bank to show up and file their claims. During the court process, before liquidation, few depositors showed up after bad debts stalled the closed bank. This entry was posted in CBK, Chase Bank, Dubai Bank, France, Imperial Bank, receiverships and tagged receivership on June 19, 2017 by bankelele. This morning, the Governor of the Central Bank met with depositors of Chase Bank. He reassured them that, even if the receivership process had been silent, they were his priority and that they were working as fast as they could to reopen the bank and give them full access to their deposits. He said there was a lot of support and goodwill (no one has sued him in this case, as has happened with other banks), and that the numbers at Chase Bank were not mysterious (unlike with other banks). He mentioned that they recovered Kshs 8 billion from directors within two weeks and that they were working to accelerated debt recovery and get non-performing loans performing. 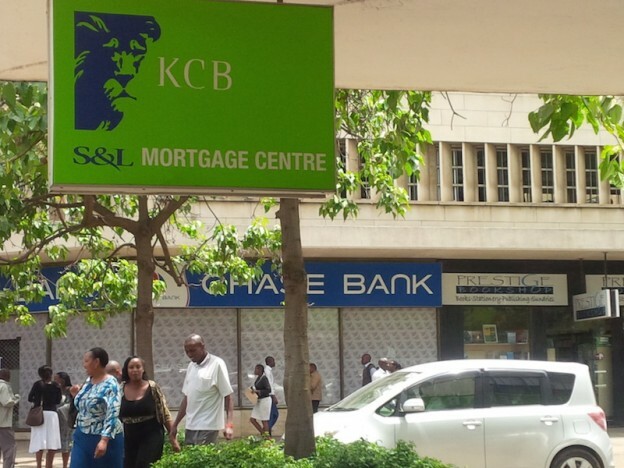 He added that contrary to the perception that the bank should never have been placed under receivership other banks and that this has made investors lose faith in banking in Kenya, he said that other bankers tell him that the sector has gotten stronger, more stable and more credible as they believed it was important to clean up this sector and that laws were followed. He said that other countries were looking at Kenya and emulating actions e.g. Uganda, Tanzania, Mozambique. Phase three of the receivership now commences, and in the next few weeks, they are inviting final expressions of interest to invest in Chase Bank for them to review. They want serious investors who will have the resources (no Mickey-Mouse, or Johnny-come-Lately ones) to support the bank and take it higher even after the receivership is lifted which should be sometime in Q1 2017. He hoped that matter is wrapped up by the time the first anniversary (Chase Bank was placed in receivership on April 6 2016) comes round, and that Chase Bank becomes a case study for bringing a bank out of receivership and sustaining it. There were lots of question from shareholders, on asking for timelines for full restoration of the bank, payments of any other tranches (no plans for that), that they should get paid interest for the receivership period (he said he’d rather work towards them getting full access to their principal deposits and have any discussion of interest with the new investors). He thanked KCB and the hard working staff of CBK, and mentioned that a KPMG audit of Chase was still ongoing. He thanked the customers for their support which he said was indicative of their belief in the bank. 13,000 new accounts have been opened since the receivership was lifted and only a tenth of what they expected was withdrawn when the bank was reopened. This entry was posted in CBK, Chase Bank, KCB, receiverships and tagged receivership on November 24, 2016 by bankelele.